A few photos of how Gan is today. It has not changed a great deal and some of the old sights are still evident, there have been some changes, some good and some not so good as you will see below. Arrival on Gan in the Dash8 22 seater. The old sign from the Blue Lagoon transit lounge. 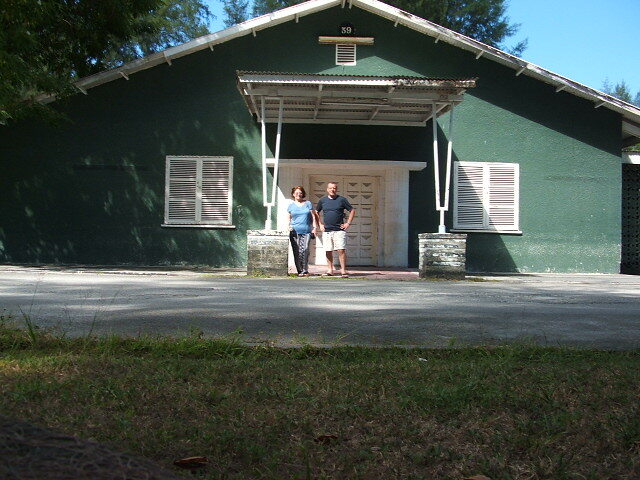 Now resident in the Equator Village hotel which used to be the old Sgt's mess. 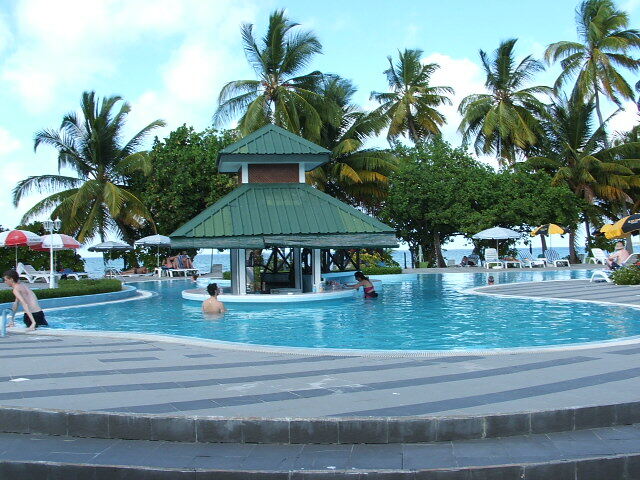 Equator Village hotel bar pool. A lot Different from years ago, eh? We had it tough back then, didn't we? This is the old army post office. Now it's Maldivian run and nowhere near as busy back when it was RAF Gan. 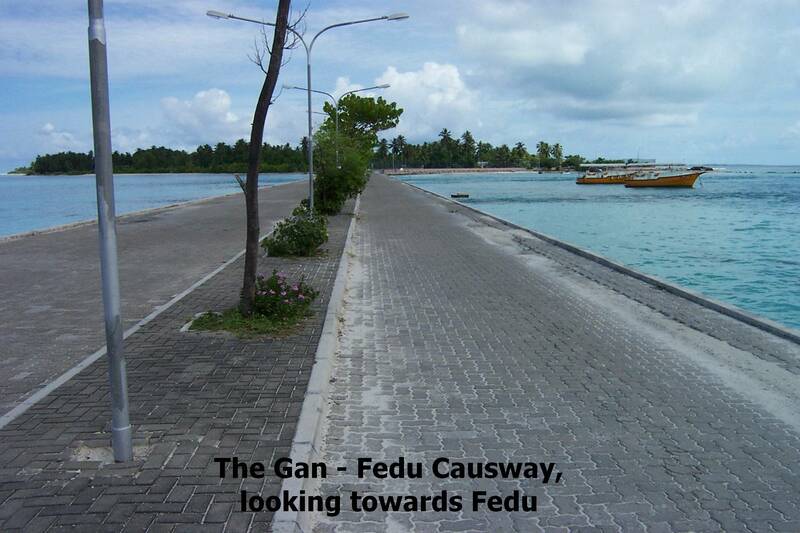 A new two lane road from Gan to Fedu running over the old causeway which was in ruins in our day. 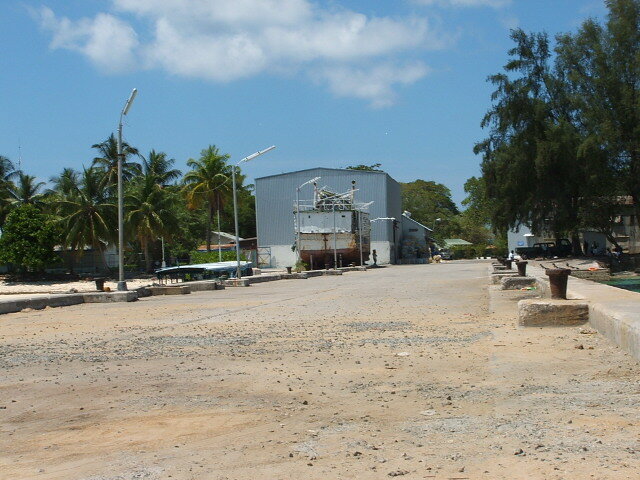 What would the old MCU blokes say if they saw their jetty and hangar in such poor condition? 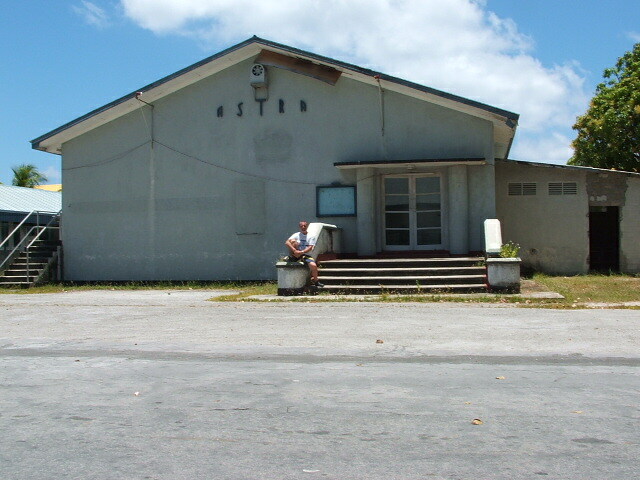 The Blue Lagoon transit lounge which has long seen its last passenger enroute to the far east or back to the UK. A little run down Astra Cinema but still used on occasion by the local imported workforce. The article below appeared in Daily Telegraph in 2000. 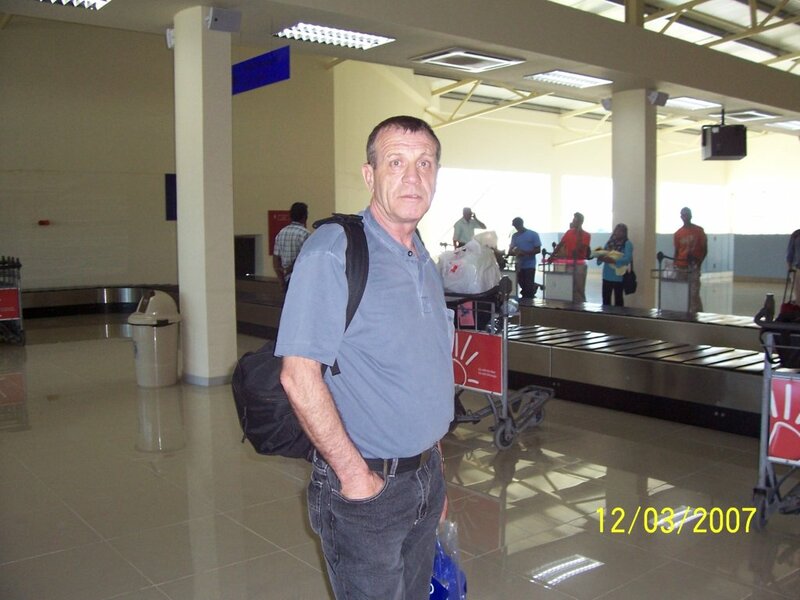 Thirty years ago, RAF servicemen were forced to endure a tour of duty on a remote island in the Maldives. Now, Gan offers civilians a tour of beauty, says Judith Parsons. HALF-NAKED men lie around listlessly waiting for letters from home. Others pace miserably back and forth in the heat, staring vacantly at the Indian Ocean. These unhappy chaps, forced to spend a year without female company on an island little larger than a postage stamp, featured in a 1969 television programme depicting RAF life on Gan, one of the remotest airstrips in the world (next stop Antarctica). 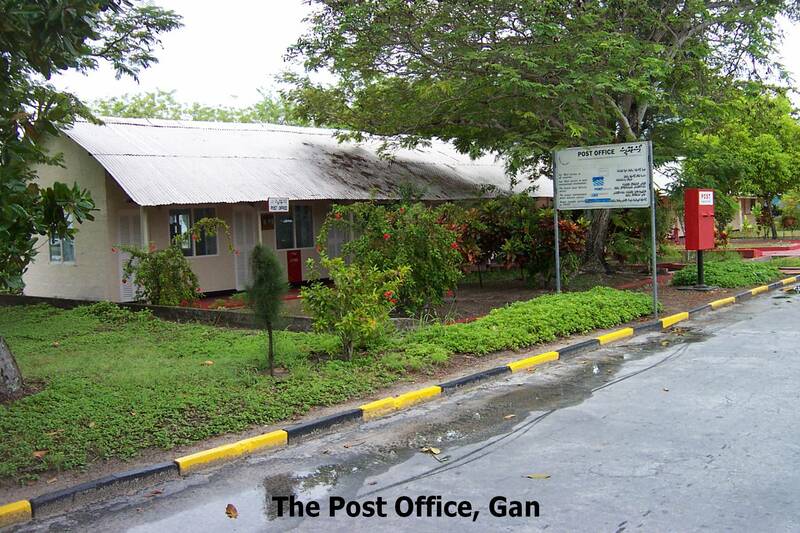 But the British Forces have been gone since 1976 - and now Gan, on the remote Maldives atoll of Addu, is promoting itself as a new holiday destination. Today, visitors touch down in a 40-seater plane on the vast, deserted airstrip built for jumbo jets. Despite the 86°F heat, the island is frozen in time. Barracks and buildings stand empty, the last vestiges of a once-organised life. Jungle overruns manicured lawns and an 18-hole golf course, the Astra cinema is silent and the yacht club in ruins. It is hard to believe that this speck in the Indian Ocean once played a strategic role in Britain's defences. Struggling to raise Gan out of these post-colonial ashes is Kandy Ismail, an entrepreneur and hotelier who last year transformed the old sergeants' mess into the new Equator Village Resort. Behind imposing gates, 78 neat bungalows, once home to officers, now billet the first tourists on an all-inclusive basis. The old mess is a tiled and air-conditioned oasis, set in meticulously kept tropical gardens of flame trees and bougainvillea. A fresh-water swimming pool overlooks the ocean. The colonnaded restaurant and bar, painted in pink and grey, and the original 1938 billiard table effortlessly evoke the good old days. There's even tea and cake at four o'clock - though the colonial puddings, notably the layers of blancmange and jelly, or "shape" as it used to be called, are perhaps less successful. 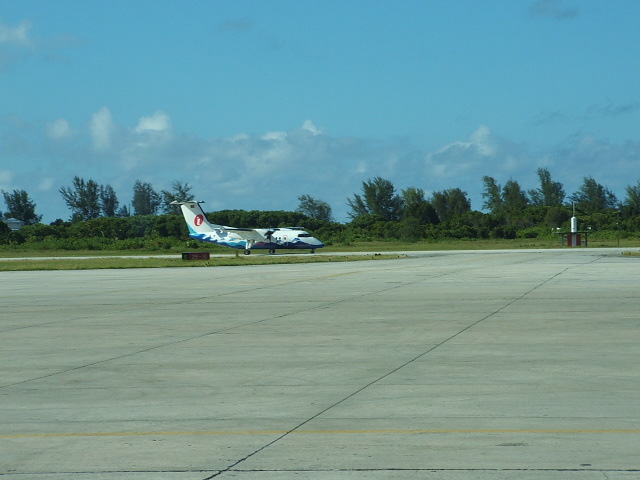 The biggest hurdle to Gan's tourist ambitions is the sporadic nature of flight connections from Male, the Maldives capital. 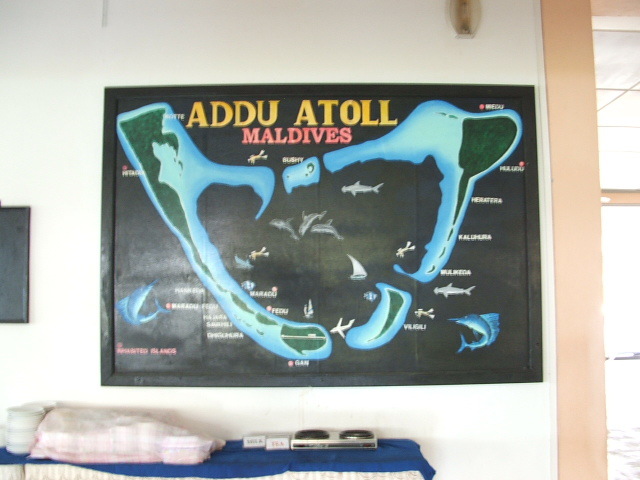 The atoll was once a hotbed of political unrest (there was a failed coup here in the Sixties), and the 21,000 inhabitants are still paying the price, with scant government investment in infrastructure. Given the political undercurrents, Kandy Ismail's plans to start his own airline, Ocean Air, seem optimistic at best. The only business booming on Gan is the manufacture of Victoria's Secret lingerie, destined for the United States. There is something fantastic about the idea of 1,000 women stitching brassieres in the old barracks. Unlike other parts of the Maldives, where the tourist infrastructure is designed to allow visitors to go only where the government wants them to, Gan is open to exploration. The adjacent islands of Feydhoo, Maradhoo and Hithadhoo are linked by causeways (another RAF legacy) - nine miles of cycle-friendly road through palm groves and coral brick fishing villages. A ride down memory lane with Steve Ellis, the ex-serviceman who turned off the last lights on Gan when the British forces pulled out, was a treat. The first stop was a memorial to those who served on the base, including India's 13th Frontier Force Rifles and the Royal Bombay Sappers and Miners. The Naafi, now a café, is run by Mohammed Abdulla, an ex-RAF cook, who shows visitors his old photographs and the menu for Queen Elizabeth II's visit in 1972. We cycled on to the "Blue Lagoon" - the old transit lounge for civilians passing through on their way to Singapore. Caught in a sudden downpour, we sheltered in a dusty old accounting wing with two elderly men. One asked, "When are the British coming back? I was a squadron driver and my friend made tea for the officers. It's been very quiet here since then." But Gan's trump card lies offshore where its dive sites show no sign of the coral bleaching that is destroying many reefs around the world. 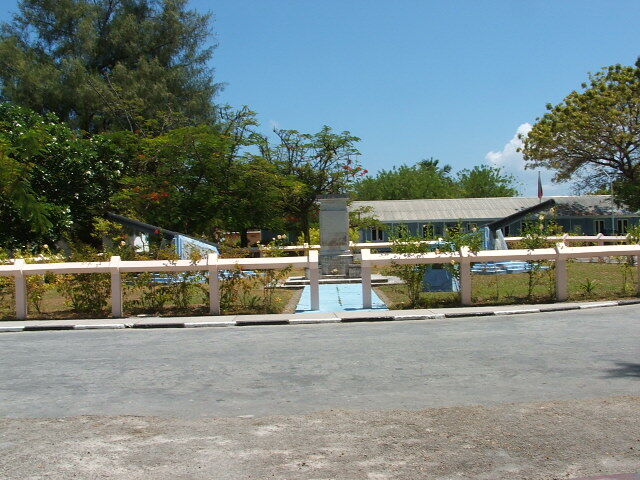 The resort's dive school, run by Gunter Pfallen, offers 25 sites - not to be missed is the 460ft-long British Loyalty oil tanker which the Japanese torpedoed in 1942. A gigantic propeller blade looms into view at a depth of 100ft and the ripped hull entices divers into a vast black hold. It is fascinating to see how much coral has grown in 50 years. Later, I joined Gunter in an exploration of two new dive sites in the rarely visited Fuamulaku Atoll. The swell was high, the current strong and the reef virgin territory. The fish were so prolific, the colours so intense that it was piscine mayhem. Back on the surface 60 minutes later, there was nothing as far as the eye could see but solitude and shades of tropical blue. How times change. Those poor men in the RAF endured empty days and geographic isolation for Queen and country. Today, people pay to make such sacrifices. The above article portrays a very vivid portrait of Gan both then and now but I doubt if the majority of Gannites would agree with some of the hardship statements. Apart from the first lads to arrive when constructing the airfield in the 50's. But nevertheless, an excellent article.